Right-wing politicians and other blowhards might want to zip Sean Penn's lips, literally, but there's no denying the fact that the man is a brilliant actor. 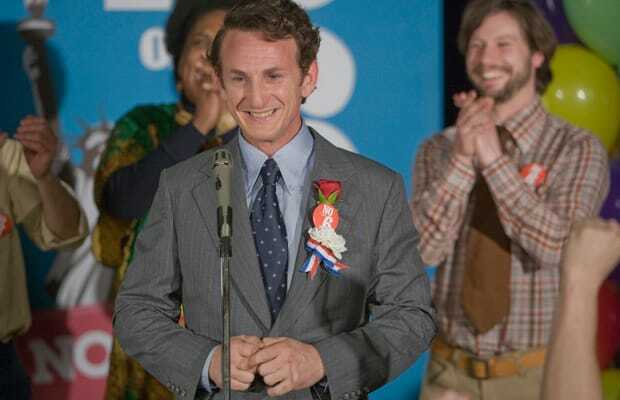 And in Gus Van Sant's beautifully executed biopic Milk, the hard-edged actor goes completely against type to play openly gay San Francisco public official Harvey Milk, a loving and driven man who was tragically gunned down by a rival in 1978. Just as important as Penn's work are the contributions from Van Sant and Oscar-winning screenwriter Dustin Lance Black, who, together, help Milk to transcend the usual biography film customs.